Price: 17,842 DKK or 2,395 € (from Iceland/return). Hotel overnight stays, except a magical night in our wilderness Qaleraliq Camp surrounded by glaciers… We propose you the most complete Iceland Greenland getaway: exploring some of the largest glacier fronts in south Greenland with our adventurous RIB’s, unique crampon excursion into the inland ice and kayaking opportunities among icebergs… Enough! Suitable for anyone who enjoys outdoor activities, not needing a special physical condition. The excursion on ice with crampons will be guided by a mountain guide, and is also suitable for anyone with an adventurous attitude. For the kayak optional excursion, previous experience in kayaking is not required. Flight from Reykjavík (domestic airport) to Narsarsuaq. Reception at the airport and meeting information. Speed boat transfer through Tunulliarfik Fjord (Eriksfjord), usually covered by icebergs, to Narsaq city, the third most populated city in South Greenland. Your guide will accompany you visiting the local fish market, the fur shops or the Greenlandic museum. Time off to walk around the city, where we will discover the beauty of its colourful buildings and the awe-inspiring landscapes. 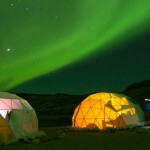 You can enjoy a drink with the local people and discover the modern Inuit’s way of life. Accommodation at Hotel Narsaq. Twin / Double room with private facilities. In the morning we will set off for Qaleraliq camp, navigating with our zodiac boat towards the ice cap. 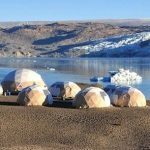 We will arrive to a magical and isolated camp set on a sandy beach, which contrasts with a spectacular view of the Qaleraliq glacier tongues. After enjoying some rest in this magical environment we will navigate along the glacier fronts, admiring the beauty of their vertical ice walls and numerous icebergs as we approach them along their more than 10 kilometres descent to the sea. From there we will start the ice excursion. An impressive hike using crampons (organised to be suitable for all travellers) on one of the oldest masses of ice in the planet. We will explore its crevasses, drains, caves, seracs, and other ice formations, which give an incredible, labyrinthine quality to this glacier. An expert mountain guide, specialist in Glacier Science, will be in charge to ensure the safety of the group during the trip. Picnic lunch in the ice or at the camp. Dinner at the camp, allowing our senses to enjoy the unbelievable views and the thunderclap roar of the icefall from seracs. After enjoying breakfast in front of the glaciers we will ascent by foot through a unique desert-like sand valley which will lead us to a surprisingly different landscape, that of the green and thick tundra. After passing the lake, we will climb up a mountain 400 metres high, from which we will have a mesmerising view of the lake, one of the largest in Southern Greenland. 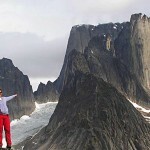 The summit is also a very special viewing point of the Inlandice, the immense inland glacier. From there you can gaze upon the infinite ice sheet up to the north coast of the island and towards the Arctic Ocean, and see the Nunataks, floating landmarks on the ice sheet. We may pick mushrooms and blueberries, and look for caribou, which are plentiful in the area. In the afternoon return by boat to Narsaq. We will be surprised by enormous icebergs falling off from the Eqaloruutsit Glacier and floating throw all the Sermilik Fjord. Sometimes, they are blocking the access to Narsaq ports. 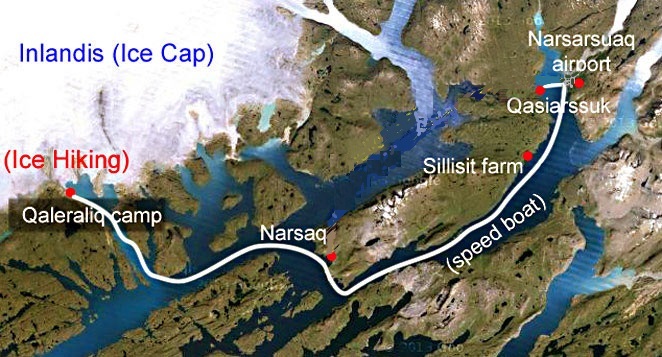 Navigation from Qaleraliq to Itilleq via the Tunulliarfik fjord. Easy hike to cross the Kongevejen, or Path of the Kings, to the idyllic Igaliku, a small Inuit settlement inhabited by not quite 40 people, which is famous for being the most beautiful settlement in the whole Greenland, and where one finds the ruins of Gardar, the archdiocese and religious capital of Viking Greenland. On our way to Narsarsuaq, we will visit the Qooroq Fjord, where one of the most active glaciers in southern Greenland can be found, navigating to the area where iceberg density will make it impossible to carry on, and which is without doubt one of Greenland’s best images. Transfer in RIB boat to Qassiarsuk. Visit of the church ruins and the settlement of Eric the Red comprising the old Brattahlid, capital of Viking Greenland, and where Erik the Red settled in 985. Walk through the village of about 50 inhabitants, mostly farmers. Brattahlid was the place from where Leif Eriksson (Eric the Red’s son) started made the first colonization trip to the American continent in the year 1000. This Norse and Greenlandic core farming area were in 2017 inscribed on UNESCO’s World Heritage List. 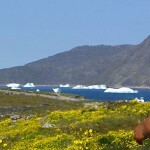 4×4 trip to the beautiful Tasiusaq farm where seven people live in notable isolation near to Sermilik fjord. 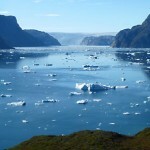 This fjord is almost always blocked by the ice and icebergs coming from Eqaloruutsit glacier. 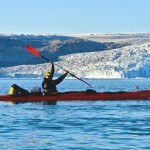 Optional: Kayak excursion in the “Iceberg Bay” a 1 hour sea kayaking trip for beginners among icebergs and ice in one of the safest and best place in the whole of Greenland. In our return to Narsarsuaq we can visit The Narsarsuaq Museum Bluie West One is recommended to be visited as it reflects the town history from ancient times and specially its role in the Second World War. Time is enough to do that just before flight departure. Free time to visit and walk around in the area. Transfers from the airport and hotel to the harbour, in Narsarsuaq and Narsaq.